This spell to remember your past life was sent in by Yarrow. Yarrow is a male witch following the Greek tradition who has been practicing witchcraft (not Wicca 🙂 ) for 17 years! Blessings to you Raven on this lovely day. I have wanted to give you the gift of this spell for some time. Past lives are a gift as we learn of previous failures and successes, we can take those lessons into our new lives. Thank You Yarrow (named for the herb O.o – I like it!)! I haven’t tried this spell (yet) but I have had once hypnosis based past life regression. I wasn’t completely following the directions and I let my mind wander constantly but all in all I was satisfied with the information (albeit it was a small amount). My brother (?) was calling to me. “Sue!” “Sue!” and I remember not being as tall as the people around me (I was obviously pretty young) and I was holding something.. a treat? a balloon? I think my dress was white and blue… I am pretty sure I was pale, which may not seem like much, but as I have naturally dark skin all year round this was a noticeable difference. I must have looked confused as my brother was calling me and I seemed dazed. I didn’t see… MYSELF. I was looking through the my eyes, or Sue’s eyes. You have probably hear me mention this story before, and for some reason I haven’t tried to remember my past life again. It was not a traumatic experience or anything like that, I just… its hard to explain! Well that’s MY past life experience… you can leave yours in the comments section below! Place the mirror inside the bowl. Light the candle and place it and the bowl beside your bed. When you are in your meditative state, surrounded by light. Imagine a television. The television should give you the sense of being in front of your physical body, and NOT in your head. If you see the television in your minds eye then you are not doing this technique correctly. See your life going back, yesterday, last year, your childhood, your birth, the safety of your mothers wombs, go back further. Don’t think “Oh whats before that?” It should come to you naturally, you may be transported to a memory anytime throughout you past life, it may be a mundane moment, it may be something exciting, it may be you sleeping! If you find yourself implanting details or trying to FILL in the blank (there probably will be some missing details the first time around) STOP and try again. You may want to listen to a past life regression hypnosis or meditation if you find it to difficult to do on your own. Post your past lives below! I am very interested in what others have to say! PS. 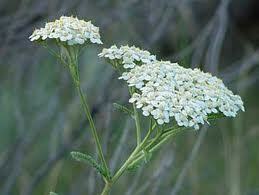 The picture is of the Yarrow flower, in honor of Yarrow who sent me this spell!